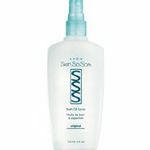 I love this product, it has these little moisturizing micro beads that work wonders. My skin is very dry, even more so during colder weather. I have found a new body wash for me and my family. Effectiveness This product works by keeping your skin well hydrated and supple. Usually the bathing process alone is enough to make my skin dry and parched. But since using this product I have found it helps lock the moisture in. This is such an effective product. It even worked for softening my heels, which usually split and crack during Winter. It basically blankets your whole body in moisture. 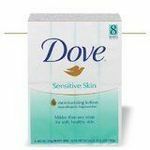 I also have very sensitive skin and this product did not break me out, not to say it won't do it to others with sensitive skin but for me it didn't and that is unusual because usually everything breaks me out. Scent The scent is amazing as well very fresh and invigorating. It has a hint of sweetness, blended in with some soft flowery notes. 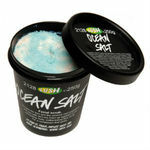 I love this product, it is such a great bathing tool. I know consider it one of my essentials when bathing. 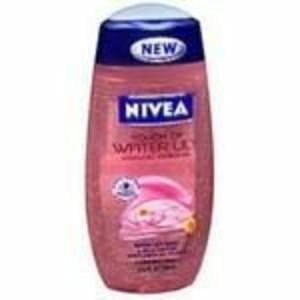 I bought Nivea Touch of Water Lily Hydrating Shower gel because I had a coupon and it was a good deal. After using it I can safely say it was not worth purchasing. Although it smelled nice it was terrible. It refused to suds up and mostly washed quickly down the shower drain when I attempted to use it. Since I can't stand wasting anything it really bothered me to see the shower gel continuously wash off my body before I had even had a chance to clean off. Overall this was the second worst body wash that I've ever used (only one that was worse was Nivea Touch of Renewal which is liquid sandpaper -also purchased at the same time with a coupon). Effectiveness This shower gel left my skin feeling dry, tight and itchy. Pretty much the exact opposite of the "Hydrating" that I was hoping for. Scent This shower gels only redeeming quality was its scent which was actually quite pleasant. Unfortunately, very little of the shower gels scent remained on my body after I got out of the shower. best smelling soap in the world! This soap smells absolutely amazing! The scent lasts all day after you've showered. It's one of my favorite soaps ever. It leaves my skin feeling extremely clean and soft. Its very hydrating, and has a lot of those hydrating beads inside. 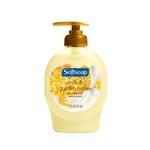 This soap lathers very well when applied to a washcloth or loofa. It doesn't take much too much to wash your whole body. It lasts for a pretty long time, so its definitely worth the money. Its not too expensive in the first place. It doesn't dry my skin our or leave it feeling like theres a film on top of it. It doesn't make me itchy or irritate my skin. It doesn't cause me to breakout. Its a good product to use if you have sensitive skin. Most importantly, I feel really clean after I use this product. It has a really nice consistency as well. I would recommend this product to anyone looking for a soap that leaves you feeling clean and smells really, really good.